Yiannis & Elenas have now gone independent & have their own website. WWW.Borsalino.gr for bookings and information. Have been to the Borsalino on numerous occasions at various times of the year. Yiannis, Elenas and family are brilliant hosts. The standard of the rooms for Greece is very good and Yiannis and Elenas work very hard to make your stay as good as possible. We have stopped in a lot of other Greek resorts, including others on Zakynthos and the Borsalino is the best for the money. If you want a relaxed day by the pool and good nightlife in the town, with a good choice of bars/restaraunts, then you won't go far wrong with the Borsalino. It's ripper! Recently returned from a week at the Borsalino and have to say for the price we paid - our expectations were definately exceeded. we were in block A nearest the pool and found the rooms to be basic (like all greek self catering) but clean and in a quiet location. In fact my friend and i used to be Reps for a Tour Operator in Zante in summer 2002 and many of the accommodations we worked in did not have even shower curtains or kettles - which the Borsalino does. Yannis and Elanor work very hard offering good food from the Pool Bar and keeping the grounds looking nice. They were very accommodating. This accommodation is located about 10min walk from resort centre or 6 euros in a taxi. Definately reccommend this property. Oh yeh - Cheryl the rep was great 2. THANX! We stayed at the Borsalino Apts for 2 weeks and found them to be ok. If ur just going to be sleeping and getting changed there then its perfect as they are a little basic. Our shower wasn't too great either. We stayed in a four bedroom apt in C block and we did experience alot of noise - e.g screaming kids, dogs and shooting!!!! (apparantly it was shooting season) The loud guys in C block did stay to the end of their holiday altho Yianni wasn't impressed with their antics. Yianni and Elena are fantastic and really do make u feel welcome, the food is good - we recommend the Tuna Salad. The pool - great just make sure u shower before going in. Yeh the hotel is a bit hidden away but thats quite cool cus u can't hear all the noise from the clubs (if u dont want to that is) If u get a taxi home they normally drop u right outside ur apartment and its quite cheap, about 6 euros, split between 4 of us that was pretty good. A big hello to the STOKE guys (esp Matt and Andy) staying at the same time, thanx for making our holiday very very memorable! 'Hello Man Booby'! - madness. my friends and i made the mistake of reading these comments just before we went away, and despite telling ourselves we wouldn't be spending much time in the appartments, we were gutted! however, when we arrived we were really pleased with the standard of accommodation. we shared a 2 bedroom appartment in c block. it was bright, spacious and clean. the kitchen was very basic, with just a kettle and 1 electric hob, but food was so cheap there we ate out every day and still managed to keep to our budget! the pool was lovely, and there were plenty of sunbeds. we ate at the bar a couple of times and the food was good, and very reasonable (although a little more expensive than some of the bars along the strip and on the beach). the location has it's good points and bad points. firstly the good - as it's slightly off the beaten track you don't get woken up by the noise of the bars and clubs and drunk people! however, you may get woken up by barking dogs (there are hundreds!) and screaming kids! it's also not perfect if you want to go out a lot. it's definitely not safe to walk down the poorly lit road to the appartments after dark. we found this out the hard way. we'd turned off the main road when a quad bike ridden by 2 men drove up behind us. the one on the back grabbed my friends bag, the other then put his foot down on the accelerator and as they drove off, the handle snapped and they made off with about 10 euros, a camera and essential makeup! it was really frightening and we took taxis from then on. the strip is great for a night out, with lots of different bars and several clubs to choose from. the pr people are qute annoying, but i suppose that's the same everywhere! cocktails and shots are cheap and there are lots to choose from. watch out for p**vy men if you go in a group of girls (that's another reason not to walk home at night - we got followed several times by "�$'s who couldn't keep their hands to themselves). there are also loads of good restaurants (our favourites were the ionian sea and the olympic flame). the cosmos reps were great but it's best to shop around a bit before commiting yourself to going on any trips with them as they tend to be expensive. one last thing - if you're planning a crazy 18-30s type holiday, choose somewhere else. we were next door to a group of lads who drank on the balcony before they went out (usually around 1) and when they came back (around 6), made loads of noise, chucked stuff over the balcony etc. yiannis was furious and was really close to throwing them out (we left when they were only on their 3rd day so i'm not sure whether or not he went through with his threats). saying that, we found yiannis and elena friendly, reasonable and very helpful and we had a great holiday! Went to Borsalino in August for the first time. After reading some of the comments from previous occupants I was a little bit concerned. I had no need to be concerned though. I thought the complex was great. Jannis and elena were the perfect hosts. Jannis was always polite and friendly as was elena. The pool was the cleanest pool I have ever swam in, all to do with having to have a shower to wash off that sun cream and sweat (pity some other pool owners dont take a leaf out of Jannis book). Location was nice and quite admist olive trees. It was not a dirt track just a road with some holes in it. We didnt come across any snakes, and you get bats in England at dusk. Met some really nice people there. Jannis treated you as one of his family. As for not making too much noise, our room was overlooking the pool and bar area, and sometimes the bar didnt close until the early hours (so what we are on holiday). Jannis did have trouble with the TV sometimes though, no footie, what a shame (good one Jannis). I would recommend the Borsalino highly. And I would certainly go back there again and again. Keep it up. My wife daughter and myself and three friends have just returned from another excellent holiday at the Borsalino. This is the tenth year we have stayed at these apartments and would not think about staying anywhere else. The pool is excellent, probably the cleanest anywhere on the island. Good quality food at the pool bar at a reasonable price. Apartments clean and well kept. Pleasant surroundings with well looked after gardens. The barbeque on a tuesday night is a must with loads of lamb chops, chicken, sausage, jacket potatoes etc. yannis, elena and the rest of the family are very friendly and have always made us feel at home. I cannot find a bad comment to say about the borsalino apartments. Looking forward to our next holiday there. Location is excellent for familys who want quiet and friendly atmosphere. We have returned from Laganas today,we've had a fabulous holiday,Laganas is quality but borsalino was lacking a lot!!! here are a few points we'd like u to b aware of!...cleanliness-we had a bathroom sink full of stubble and mould..cleaned ourselves!we got 1 toilet roll 4 the whole week and dirty towels that we had for the duration.squished mozis all over walls and the cleaners did very little not very often! if u are young girls going on your own then taxis are a must because borsalino is down a dark,unlit dirt track with bats and howling dogs and snakes! yiannis is a strange man, if you laugh at his strange sense of humour and boost his ego then he will love you however he took against us as we didnt eat there every night boosting his profits.he made us feel like a nuisance every time we needed something and the safety deposit system is a real nuisance. he keeps 7 dogs that bark loudly all night and the chickens and cockeral woke us up without fail every morning no matter how late we got in. the location isnt great,aprox 40mins from beach along a v busy road! would like to say cheryl our rep was fab and so helpful! ...this didnt stop us having the best holiday we could,the resort and beaches and boat trips and bars and clubs WERE QUALITY!!!! you'll have a brilliant holiday but there are better places to stay. hi i am going to borsalino apartments on the 2nd sept 2004 with my boyfriend, i am bit worried know what it is going to be like can someone tell me what it is like in september there are weather and apartment wise ta! 1) A very rude cleaner who at 11am on the second morning of our stay, literally dragged us out of bed whilst screaming "Get up, I need clean room NOW!". This was not really welcomed due to the fact that we had got in at 6am. We told him quite politely that we were happy with the room as it was but the man was relentless and eventually resorted to hitting my ankle with his broom handle, he raised his fist at another member of the party. For our own safety we decided to retreat to the balcony. Talking to other residents it was apparent that our incident was not an isolated case. 2) Yiannis the owner of the apartments has more rules and regulations than Broadmoor prison and if you inadvertently break one of these rules you are likely to be shouted at with a number of obscenities, he is also a black belt in Karate but we didn�t see any physical violence. 3) The apartments are also situated quite a long way from the beach (25mins walk) and the centre of town (10mins walk). Apart from these points its quite a pleasant place to stay, cheap and cheerful food and for the money quite spacious and well furnished rooms. MY GIRLFRIEND AND I HAVE JUST SPENT THE BEST 2 WEEKS ABROAD EVER. VERY FRIENDLY.WE MET SOME FANTASTIC PEOPLE DURING OUR STAY AND WILL WITHOUT A DOUBT BE RETURNING AGAIN IN THE FUTURE.LAGANAS HAS SOMETHING FOR EVERYBODY AND IS EXCELLENT FOR FAMILIES/COUPLES/GROUPS OF ANY AGE GROUP.I WOULD RECOMMEND YOU PAY YIANNIS A VISIT COS IT IS A PROPER JOB. Me, my husband and my 21mth old have came back from the Borsalino Apts yesterday, and I have to admit I enjoyed my stay there, The apts are basic as are all apts in Greece, to me its just a place to sleep and get changed in. I thought Yiannis and Elaner and there lovely little boy Pedros were lovely we never had any probs from them and they couldn't be anymore helpful, and yes Yiannis is very proud of his pool and expects you to shower before you get in, (but its only like having a brand new carpet fitted you wouldn't want people with dirty shoes treading all over it), as long as you respect that you won't have any probs. The food is wonderful and you pay the same as what you would if you ate in laganas itself, same with the drinks. Do take a mosquito plug and plenty of cream. The apts are about a 20 min walk to the main strip and 30 min walk to the beach. We always went into laganas for a meal and drinks and then probably had one at the bar when we came back and we had no problems about not spending our money there. I have read with interest the comments that have been made about the Borsalino. I stayed at the apartments about 4 years ago with my husband. It seems as if nothing has changed!! The apartments are basic but were clean at that time. The swimming pool is lovely but Yianni does close it very early. Basically, Yianni will get on with anyone who is putting money across the bar. We spent our evenings in the resort and not sitting at his bar, consequently we were not his favourite customers and as such he was usually quite arrogant and rude to us. However, don't let the negative comments on this page spoil your holiday. As long as you can accept that the apartments are quite basic and that Yianni can get a bit irritating you will have a fabbo holiday. The Borsalino is about 20-25 mins walk from the beach, along the main road.But there are supermarkets, bars (Try Nikos Cocktail Bar) and tavernas all along the way.There are plenty of taxis if you carn't be botherd to walk it only costs a couple of euro's.The weather in october can be a hit and miss. Best place to check is www.weatheronline.co.uk it has a web cam and show's the current and previous year's weather.I hope this is of some use. Well what can i say about the Borsalino Apartments. Firstly the Ok points, The location of the apartments is in a good location if you don't want to be waken up every night by the sounds of the bars, however it is a good 45mins walk to the beach and about 20 mins walk to the main bars, so be prepared for some walking. Now the bad pointsI stayed there last August for 2 weeks with 5 other people and to be honest the owner was not that friendly towards us. He had a go at us for making some noise at 7pm, yes you read that right 7pm. Unfortunately for us we stayed in A block and was right next to the owners apartment, so when we were talking at 1am we got the 'please can you keep the noise down' it felt like we were on a school trip with your teacher next door not allowing you to have a good time. The amenities in the apartment were basic, to say that you could have more amenities while camping is an understatement. Ok you will get others saying on this board that their stay was fine, however ours was not and i would like to highlight these problems. If you are a family going to these apartments then you will like the place, but if you are a young group looking for a good time then try and select another apartment. we are staying in the borsalino apartments in july 2004, and wondered if anyone has recently been there, who could email me and tell me what it is like? whether it is clean or not, and whether the owner allows you to have a good time cos we r all around 20 and want some fun!!!!!! I'm also staying in the Borsalino apartments with 2 others guys and 4 more joining us on the 2nd week. Is their any groups on lads that have stayed their let us know how it was????? July 1st - 15th july is when we are going. I'm going here with a group of girls in July and i am worried about the owners not allowing a group of girls to have a good time!!! I would be extremely grateful if anyone could advise me if this is the right place to go or not. ME AND MY BOYFRIEND WENT TO BORSALINO APARTMENTS 2 YEARS AGO, WE WANT TO GO NEXT YEAR AS WE LOVED EVERY MINUTE WE WAS THERE IT WAS BY FAR THE BEST HOLIDAY WE HAVE EVER HAD. IF ANYONE AS ANY INFO ON HOW IS BEST TO BOOK OR WHO TO BOOK WITH CAN YOU PLEASE HELP US. IF YOUR LOOKING FOR A CLUB 18-30 TYPE HOLIDAY, OR YOUR THE SORT OF PERSON THAT LETS YOUR CHILDREN RUN WILD BECAUSE YOU CANT BE BOTHERD LOOKING AFTER THEM, THEN DONT COME HERE, ITS NOT A JMC APPARTMENT IN BENIDORM. YANNI MAKES PEOPLE HAVE A SHOWER BEFORE SWIMMING TO KEEP THE POOL CLEAN,IT'S ABOUT HYGENE! WHO WANT'S TO SWIM THROUGH SOMEBODY ELSE'S SWEAT. YES THE ROOMS ARE BASIC, BUT CLEAN,YOU CAN RENT A FAN FOR WHEN IT'S REALLY HOT.THIS IS GREECE AND YOU DON'T GET THE SAME SORT OF EXTRA'S AS YOU DO IN SPAIN. MY WIFE AND I HAVE BEEN COMING TO THE BORSALINO FOR SEVEN YEAR'S (TWICE THIS YEAR) AND LIKE A HELL OF A LOT OF OTHER PEOPLE WILL BE GOING BACK NEXT YEAR. As far as we were concerned, the Borsalino served it's purpose - a bed for the night, a nice clean pool for during the day, a shower have a wash (albeit mainly cold and no where to hang up the shower head) and a fridge to keep our drinks and snacks cool - what more can you expect for �188 each /week. If you want anything more from your holiday (i.e. any sort of luxury), DO NOT come to the Borsalino. As for Yianni, yes he is rude and his loud overpowering Greek /American /British (where the hell did he get it from???!!!) accent is really grating, but if you ignore him, he doesn't bother you. We found the accomodation reasonably clean, atleast room 103 in the main block wasn't too bad, although others were not at all happy. The quality of the food at the pool bar wasn't too good, and the snacks were very expensive (nearly 5 euro's for 2 ice creams). Also eating / drinking beside the pool was only permitted for items purchased from the pool bar, which was quite annoying. The pool however, was actually very nice and clean. Be aware that there are no security boxes in the rooms - I think Yianni does have some though. I personally would give this accomodation a 1.5* rating rather than 3*. In terms of location, we found the Borsalino to be quite good. It is a fair walk to the strip (15 mins or so), but quite out of the way so it is safe and quiet at night. I heard a couple say that they saw a rat on the premises, which wasn't the nicest thought, but we didn't see anything like that (just some lizards). There was the smell of toilet waste occasionally round the back of the pool, but it wasn't that bad. So, to sum it all up, irrespective of the bad points, we had an really excellent holiday. Laganas is a great place and was met all our expectation. As I said earlier, the Borsalino served it's purpose, and we did not let the negatives spoil our time in Zante. Will I come back to the Borsalino? - NO. 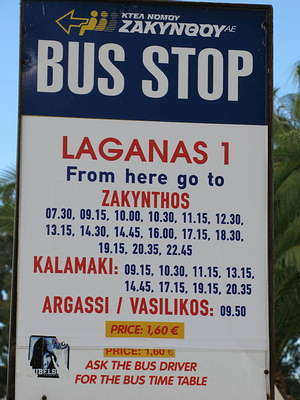 Then again, will I come back to Zante - probably not, but I'd like to see the rest of the world first. Hope this helps calm some nerves. Everyone mentions Yannis and Elena being wonderful hosts (although a bit too overpowering for us) but no one seems to mention the condition of the accommodation. While we were staying at the Borsalino we were appalled at the standard of the room. A number of points need to be addressed but most importantly the bathroom area i.e. toilets not working properly, toilet seat not bolted down, shower head useless and nowhere to hook it up. Minor points are plug too large for kitchen sink, electric power point doesn't work next to mirror in room, fridge handle about to fall off a rusty fridge. The smell of drains outside is disgusting which is due to poor maintenance. It shows the Borsalino is run on a shoestring, maybe Yannis should consider spending some of his profits on the upkeep of his accommodation. The star rating should be reduced to a 1 star in the brochure. We have visited Greek Isles before (including Zante) and have never experienced anything like this. The term hell hole maybe a little strong. Needless to say we will not be returning or recommending the Borsalino to anyone else. Hi, basically, im a 15 yr old girl who went on holiday with my family (mum, dad, and 12 yr old brother). If you have booked to this HELL HOLE,try and cancel, its AWFUL. Unless you want to be shouted at ALL holiday, and woken by the DOG, and being told off for bein too LOUD, ON YOUR HOLIDAY,and being totally RIPPED OFF at the bar, i mean its 1 EURO 20 FOR A BAG OF CRISPS!! U get told off if you get in the pool without a shower, if you leave the shower on, if u go to the bar wet, if u leave bottles around...etc etc. Yanni, and his wife dont seem to think about their customers, and yanni's LOUD ARRITATING voice, grinds on your brain. And also, NO AIR CONDITIONING in the apartments! MY FAMILY AND I HAVE BEEN TO VARIOUS LOCATIONS IN SPAIN AND ITALY,BUT HAVE BEEN TO BORSALINO OFF & ON FOR THE LAST 12 YEARS, AND ALWAYS HAD A GOOD TIME. HAVE BEEN GOING THERE SINCE MY CHILDREN WERE 5 & 8 YEARS OF AGE, AND THEY STILL GO BACK WITH THEIR FRIENDS NOW. ANYONE WHO CANNOT GET ON WITH YIANNIS AND HIS FAMILY MUST HAVE A PROBLEM THEMSELVES, AS THE FAMILY ARE VERY EASY GOING AND FRIENDLY AS ARE ALL GREEKS. ALL THEY ASK FOR IS RESPECT FOR THEMSELVES AND THEIR PROPERTY AS IT IS THEIR HOUSEHOLD AFTER ALL. CAME BACK LAST WEEK HAD A VERY GOOD TIME AGAIN AND MOST GUESTS WERE SAYING THEY WOULD BE COMING BACK TO BORSALINO NEXT YEAR. MOST OF THE FAMILIES TO THE BORSALINO ARE REPEAT VISITORS. FIRST OF ALL I WOULD LIKE TO SAY TWO WORDS TO ANY BODY WHO IS THINKING OF, OR HAS ALREADY BOOKED THE BORSALINO APARTMENTS LAGANAS, THESE ARE DONT AND CANCEL AS SOON AS POSSIBLE, IT IS ONE OF THE WORST HELL HOLES WE HAVE EVER STAYED. i got back from zante yesterday i thaught it was great. the borsalino hotel was excellent it had a lovely big pool and the apartment was lovely and clean. he supplied us with a barbique on tuesday which was lovely aswel. Hi we got back from our hols yesterday had a brilliant time again it was our 5th time. Yianni and Elena were excellent hosts as normal. While we where there Elena had the baby a boy on 05.07.03 at 2000 and he weighed nearly 4kg and he is lovely looks just like Yianni. just got back from the borsalino early this morning - this was our third time and we are going back in october. Yiannis and Elena are brilliant hosts although we did not see much of Elena because she was in hospital having the baby. And to the comment about no eating area then if you realy want to come on holiday and eat in your apartments then there is a perfectly good table and chairs on the balcony. if anyone goes to the borsalino and doesn't have a fantastic time then they have no taste. if Elena or Yiannis read this blair says "BOO!" wish them all the best from charlie and dan hope to see them next year miss them as they were such good hosts and really made our holiday. To all friends of Yiannis & Helenas. The baby was born Sunday morning & everyone is fine. I have known Yiannis for about 14 years and he has always made me feel at home. He and Ellini will ring me when she has had the baby so I will let you know. They know it's going to be a boy (Petros) after Yianni's dad. To anyone if you can chage the accomodation then I would. Not self catering, room like a prison, dirty, hot breeze block walls,no hot water, no eating area etc etc etc. If I were you I would go somewhere else. (Especially if you have children) Laganas is great, lots to do, good beach,good food, great people. Borsalino is the worste place I have ever been sent to. Myself and 5 other people are going to stay at the Borsalino apartments in July, and i was wondering whether the apartments have a lounge in them for eating and talking to others. As the cosmos brochure says that there is no lounge. If there is no Lounge where on earth do you eat in the apartment, as i guess the kitchen isn't that big. In reply to the question about air con. No there is no air con in the rooms, but you can hire fans fron Yiannis no problem. hi can you help off to borsalino in june2003 needed to know if apartments have air conditning,asits gunna be hot or could we hire fans thanks charlie. hi i cant really say what its like as haven't got there yet. off to bosalino apartments in june26th 2003 would like to know if rooms have air conditioning, or is there fans to hire as bit worried as its gunna be very hot in june. really looking forward to meeting everyone please e mail me thanks very much see you all soon . eleni and yannis are lovely people and will do their very best to make your holiday a good 'un. rooms have got radiators!!!!!! bit spa**e otherwise, beautiful location, get pissed though 'cos cockerialls can't tell the time! We're hoping to get back to see Yannis and family again this year, after many many visits (about 10!) since 1989 when I was just a teenager. Things have moved on a great deal since our group of 'wet between the ears lads' first visited - Yannis had a bar on the main drag and his Mum used to make the best pizzas in town! - We worked the bar for him on occasion, organised karaoke, and even played guitar in his bar. Things have calmed down alot since he got rid of the bar and moved everything up by the pool and apartments. Zante is great fun,as is the Borsalino Palace is but is not somewhere that you might visit year after year unless you'd built up great friendships with Yannis and his family, as me and many of my friends have over the years. We didn't make it over last year, but are planning a visit soon, and hope to continue making the trip for many years to come. I haven't stayed at the Borselino - it's too far from the beach,but my wife and I are very good friends of Yiannis and Elena and the whole family. We have known Yiannis for 14 years now.Going to Laganas in July 2003, looking forward to going back to see them. I STAYED AT THE BOSALINO IN AUGUST LAST YEAR(2002) IT WAS A GREAT HOLIDAY AND ID RECOMEND IT TO ANYONE! AT THE TIME I WAS I6YRS OLD AND WENT WITH MY FRIENDS FAMILY. WE HAD A WICKED TIME N ARE GOING BACK THIS YR! YANNIS AND ELONOR ARE GREAT AND WILL MAKE EVERYONE FEEL WELCOME. ARE REP DEBBIE WAS GREAT TO! ITS JUST A SHORT WALK TO ALL THE CLUBS WHICH ARE GREAT AND ID RECOMEND GOING TO RESCUES!! We have just returned from staying at the Borsolino. 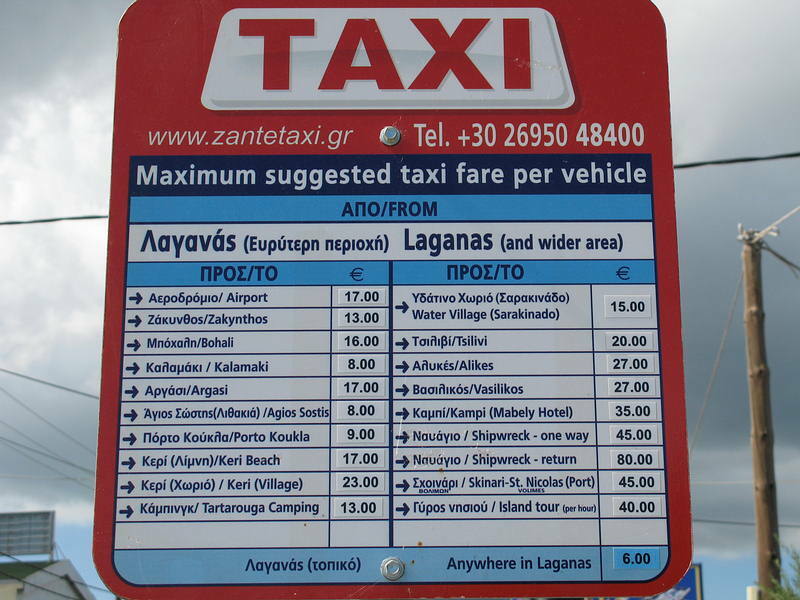 It is abit of a walk from the beack/town but taxis are cheap. We stayed in B block which was very basic but some of the other blocks are nicer. A block has a view of the pool and C block has large balconies. Be prepared to be woken up in the night either by the cockeral or in our case, the rowing liverpudlians next to us. Yanni and Eleanour r cool people and looked after us. The pool is the best! hello to everyone from lilo wars - the Tamworth gang, the essex girls, randy andy and vic, spencer and serena and Dave! U made our holiday!!!! Does anyone know how far away the Apollo apartments are from the Borsalino Apartments, there are six 'party mad' girls from Hull going to Laganas on September 19th but 3 are staying at the Apollo.... Can anyone help? Absolutely brilliant place so long as you don't mind the 15 min walk down to the strip. Eleanor is lovely and the 8 of us had a great time (11-25th July). Long live chips and beans- hope to see you again some time! Me and 5 other lads stayed here from 4th-19th July. its a good place, quiet at night time (unless u make a noise like we did!) cos it is out of the way of the main strip. Friendly atmosphere during the day and evening. Yiannis and Elanor are great guys, and will look after you. The apartments are quite basic but it wasnt a problem cos we only slept there. Lots of young people. id recommend it. I am going to the Borsalino Apartments Sept 12th-26th with my mum & my five year old daughter (boyfiend was too scared to fly). Are there any young people going aound this time of the year as I will prob have a breakdown otherwise if I dont meet any nice peeps to talk to. Help!!! It was the best holiday I have ever been on....the accomadation was basic as with all greek apartments but it was kept that clean you never noticed. There is so much to do there and the owner Yianni and his wife Eleanor are excellent hosts. I would strongly recommend this accomadtion especially to families or couples. too far away from beach very noisey dogs barking all night along a dark lane so very worrying at night we did not enjoy the holiday one bit been to zante 5 times this was by far the worst place we stayed ! We went on 9th september for 2 weeks. The apartments are lovely and clean. The only thing wrong with the place was the noise of the cockerals which are situated nearby and the gun shots (shooting season had just started). The pool is lovely and Yiannis and Helenas are really nice people and a good laugh! The apartments are great and spacious. One hob and one pan make cooking hard work though! Good job that we ate out mostly! About 15-20 mins walk to the beach. Dark roads at night on the way back. 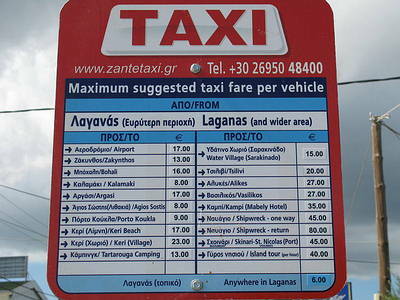 Get a taxi for £3 (1500 dracma) if it bothers you! Enjoy! The Borsalino is excellent. The reason the pool is so clean is that it does close at 6.00pm to allow the filters an hour or two to extract debris from the pool before they are cleaned and any chemicals to be added for the next day.The crisps are imported i.e Walkers, Monster Munch etc therefore a higher cost.Just returned from my 6th visit. Back again as soon as possible! If you're considering going to Borsalino, JUST DO IT! you'll love it. August 2001 COSMOS We had a great time. Lovely location with plenty of space between the 5 apartment blocks. Beautiful surroundings with plenty of birds for the children to see (7 year old twins) - hens, ducks, guinea fowl, hawk, etc. A couple of cats roamed around with the hens amazing. Heard the roosters the first morning, and never noticed them again. Never heard dogs, which someone else mentioned. Small playground, but locally crazy golf, cars, horse riding etc for children. A VERY clean swimming pool - only criticism was that we had to come out of it at 6.00pm, which seemed very early to me, as it was just the right temperature then to swim and play. Maids came 3 times a week to change towels and sheets. If you are aware beforehand, then you can come prepared. As we were told you can't put paper in the toilets in Zante, we bought scented nappy bags wth us - but even in August this wasn't a problem, as the bins were emptied regularly. Towards the end of the holiday we did ask for another toilet roll, and were told "It's self catering buy your own". Toilet Rolls are ormally supplied, even for self caering, bt if you know beforehand you can bring a spare one or buy localy Plenty of small supermarkets. We hired a car for 2 weeks - which was well worth it, especially, if you pay for it in the UK before you come. Otherwise, local taxi is very cheap.